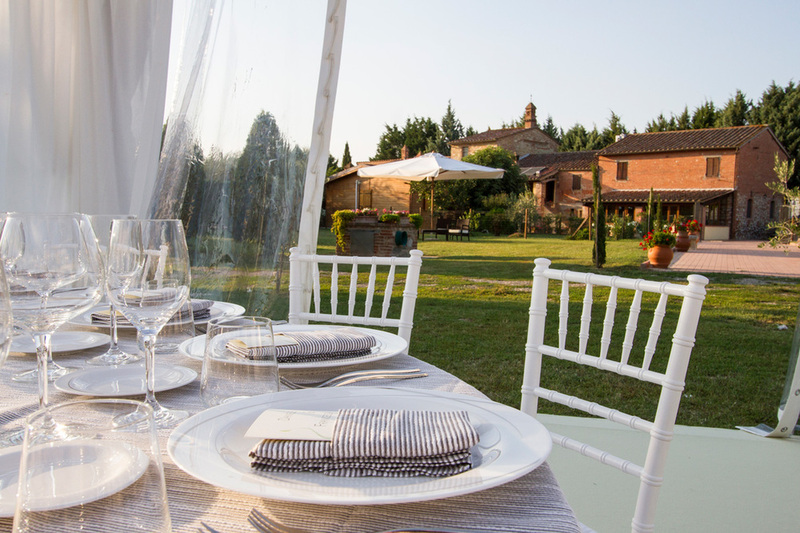 Podere Bello is the ideal venue to organize your wedding reception between Tuscany and Umbria with huge outdoor spaces, garden and swimming pool. With its huge park, its big beautiful garden and the swimming pool Podere Bello is the ideal setting for your private event, which can be organized by our staff or supported by an event planner. Our venue will make your event a unique and unforgettable experience. Podere Bello is the ideal venue to organize your wedding reception. Thanks to the huge outdoor spaces your guests will spend a lovely day in a laid back, cozy and familiar ambiance where everything will be simply perfect.